Manchester City and United ruthlessly brought in world-class managers to complement their overblown transfers, while Klopp’s Liverpool and Pochettino’s Tottenham aimed to succeed with a full pre-season behind them. Even the normally static Wenger spent early on Granit Xhaka in a bid to bolster his ever-weakening midfield, while the reigning champions made a series of risky buys to bulk up their squad. Meanwhile, over at Stamford Bridge, the humiliated champions decided to look at the big picture. 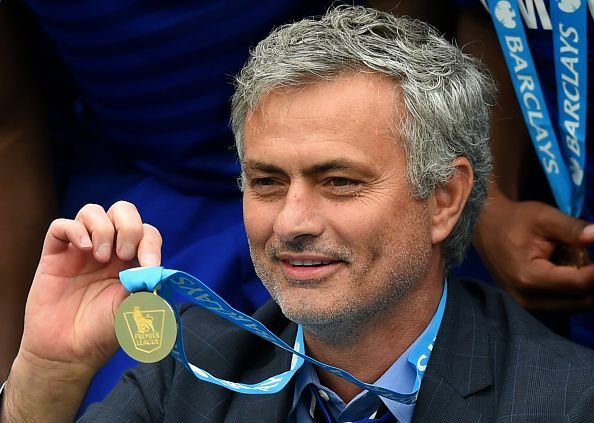 Despite delivering an impressive title in 2014/15, Jose Mourinho’s return had not gone to plan. Having declared his intention to stay at Chelsea for a decade, Mourinho was sacked mere months after leading his team to the title. In his place, Chelsea had chosen to appoint Antonio Conte, who had already made a name for himself by leading Juventus to three consecutive titles - including an unbeaten season. The Italian was given the basic goal of breaking back into the top four – no easy task considering that the quality of the league had not been higher since the heyday of the mid-noughties. However, despite a stuttering start, a 3-0 loss to Arsenal precipitated a tactical change that has powered Chelsea to the top of the league. In that time, they matched the Invincibles’ record of the 13 consecutive league wins while also creating a nine-point gap to second place Spurs. Their dominance has been so absolute that most commentators have all but accepted them as this season's Champions elect with 14 games to go. However, an important question is yet to be answered – has Conte really enacted a revolution, or has he just reversed the dismal form that Chelsea encountered last season? 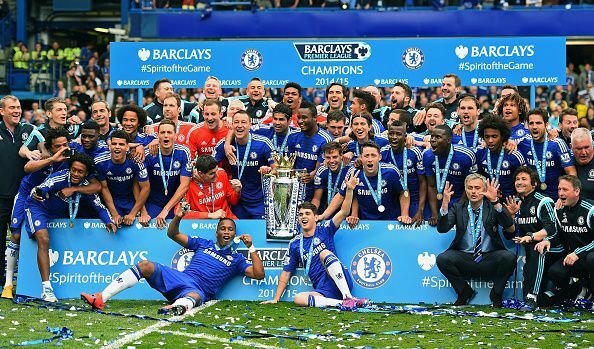 In other words, is this team better Jose Mourinho’s dominant 2014/15 title winners? The summer of 2014 was a very busy time at Stamford Bridge. Mourinho’s first season back at Chelsea had culminated in a highly productive third place finish and an appearance in the Champions League semifinal – where the London side were knocked out by an aggressive Atletico Madrid. In response, Mourinho returned to Spain in the summer to re-populate his side with some serious quality. In addition to the return of loanee Thibaut Courtois, the Portuguese manager also poached Diego Costa and Filipe Luis from Atletico Madrid. Most startlingly, he even managed to bring in Cesc Fabregas from Barcelona to Chelsea - much to the horror of Arsenal fans who themselves were waiting for their hero’s return. The return of Didier Drogba from Galatasaray and the purchase of Loic Remy provided adequate firepower to replace the departing Demba Ba, Romelu Lukaku, and Samuel Eto’o. The sales of Fernando Torres, Andre Schurrle, Ryan Bertrand and Mark Schwarzer in January added to David Luiz’s departure in the summer. Mourinho had bought himself a title-winning squad and decimated the deadwood dragging the club down. Kurt Zouma was to be the only successful youth promotion to the first team and Chelsea started the season as overwhelming favourites for the title. Meanwhile, last summer was a very different time for the Chelsea faithful. Although Conte brought in four first team players, only N’Golo Kante was considered to be a real upgrade on their first team. Marcos Alonso and Michy Batshuayi were seen as mere backups, while there were significant, if slightly unfair, doubts over the ability of the returning David Luiz. Where Conte really succeeded in the transfer market was in getting rid of highly paid fringe players. Mohammed Salah, Papy Djilobodji and Marko Marin were sold in the summer, while Oscar, John Obi-Mikel, and Branislav Ivanović were moved on in January. The latter is especially poignant, as it refers to complete overhaul of Chelsea’s aging defence by the ex-Juventus manager. By sidelining John Terry and Ivanović, and Nathan Ake from his loan spell at Bournemouth, Conte has made a statement about the future of Chelsea’s backline. Despite becoming captain, it seems like Gary Cahill will be phased out next season, with the rise of players like Zouma, Ake and Andreas Christensen. This is particularly impressive considering the importance of these senior defenders during the previous Mourinho regime. Overall, despite creating a transfer deficit with his smart sales, Conte’s lack signings for the first eleven meant that this season’s Chelsea squad were not as well rounded as Mourinho’s 2014/15 side. After all, the spine of his midfield and attack are still the same side built by the Portuguese manager. This was reflected in most pre-season predictions, as pundits prophesied that Conte’s Chelsea would do well to finish in the top four. Despite this apparent lack of outright talent, Antonio Conte has fashioned a side in his own image – determined, ruthless and efficient. Chelsea started their 2016/17 campaign in an imbalanced 4-3-3 that failed to cover their defensive inadequacies, as well as blunted their attack. However, a humiliating 3-0 loss against Arsenal in September forced Conte into rethinking his tactics and switching to the three at the back that had worked wonders for him both at Juventus and with the Italian National side. Eventually, he came up with the 3-4-2-1 that has shot the Blues to the pinnacle of the table. Conte famously used this formation during his time with Juventus in 2011-2014, where he created the now formidable defence that included Barzagli, Bonucci and Chiellini. While the current Chelsea backline does not really compare well to their Italian counterparts, it does have serious advantages that maximise the performances of the players. By creating a three-man backline, Conte has nullified Cahill’s lack of speed and occasional mistakes and created space for Luiz to play with the ball at his feet – a major part of how the Brazilian likes to play. With Alonso and Moses as wingbacks, Conte has given them a formation that utilizes their attacking capabilities without exposing their defensive shortcomings. Up top, Hazard and Pedro (or Willian) can play with the freedom afforded to wingers that don’t need to hug the touchline. Their movement creates havoc for opposing defenders, and Costa is at his best amidst this chaos. Finally, with the defensive cover that the tireless Kante provides, Matic can occasionally join in attacks if Chelsea are playing a particularly stubborn opponent. 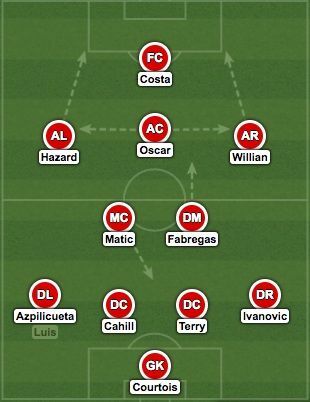 Conspicuously absent from this tactic is the ubër-talented Fabregas. While he still has an important role to play against top-level defences, his talents do not fit neatly into this formation. Conte’s choice of the less talented but more suited Matic instead is indicative of his tactical thinking this season. Compared to the tactical nuance that Conte has brought to the modern Chelsea side, Mourinho 4-2-3-1 of 2014/15 seems outdated. However, as stated above, he did have a superior squad to work with. 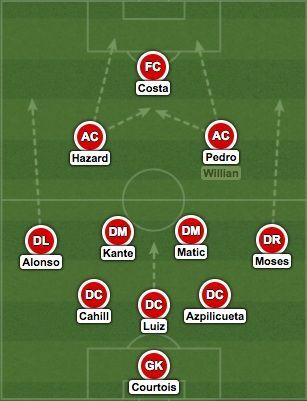 As such, Mourinho just needed to choose the best formation to accommodate his best players – namely Costa, Oscar, Fabregas and Matic. However, this is not to say that Mourinho was happy with the bare minimum. After all, he did ship out the most talented player in his squad, Juan Mata, for the harder working Oscar in January 2014. In fact, the theme of teamwork was instilled throughout this side. While Willian, Fabregas and the fullbacks were encouraged to get forward to support the attack – with Matic dropping deep to cover the defence – they were supposed to track back as well. Even Costa was not granted complete independence, as he had to press from the front, forcing the opposition to launch balls at Chelsea’s aerially talented central defensive partnership. The only player granted complete freedom was Eden Hazard. Mourinho realised that the young winger could provide the X-factor for his side, and urged him to roam the final third sowing confusion and uncertainty. The Belgian duly obliged, such as during his match-winning performance against Manchester United in April 2015. He would eventually go on to pick up the PFA Player of the Year award for his consistent performances. While both managers have proved themselves to be master tacticians, there is one clear winner in this category. To make a back five of Alonso, Cahill, Luiz, Azpilicueta and Moses as effectively feared as they are today would be conclusive on its own, but once you throw in the evolution of Matic and the freedom of the introverted wingers, the victor is obvious. Despite owning a less impressive squad, Antonio Conte’s first XI is possibly more fearsome than that of Mourinho’s in 2014/15. This is a more subjective category, but an important one nonetheless. The modern Chelsea have blown away their competition with their record-equaling 13-win streak, but have also shown glimpses of real expansiveness during that time. Their 4-0 demolition of Manchester United and the 3-0 dismantling of Leicester are proof of that. However, despite their manager’s reputation, the Chelsea side in 2014/15 were no slouches themselves. They started their season with a 14-game unbeaten run in the league alone, including a 6-3 away victory against Everton. However, their best performances came in Europe, with a 5-0 away victory at Schalke and a 6-0 victory against Maribor at Stamford Bridge. Luckily for us, there is a beautifully coincidental event that can help separate the two sides. Around the turn of the year, in both seasons, Chelsea traveled to White Hart Lane in fine form to take on their local rivals, Tottenham. Both times, they were sent back with their tails between their legs, having been at the end of deserved defeats. Antonio Conte’s response has been to double down on his tactical decisions, which have led to improved performances such as the 3-0 victory over Arsenal recently. Mourinho, perhaps predictably, chose to shut down his team for his remainder of the season. After seeing half a season of flying football, the Chelsea faithful were treated to nervy one-goal victories that were reminiscent of the Portuguese’s first spell in charge. Thus, despite the subjectivity of the category, it seems like Antonio Conte may have edged this round. His continued belief in not just playing winning football, but playing dominant football, is remarkable considering the individual talents of his squad. On the other hand, Mourinho’s pragmatism, while successful, does not make for compelling viewing to the neutral. As stated above, Conte’s side has been absolutely magnificent in the league this season. To have the title all but wrapped up in mid-February is incredible, and hasn’t been seen since Sir Alex Ferguson’s last season at Manchester United. Chelsea have dropped just five points since their tactical switch to the 3-4-2-1, away at Spurs and Liverpool. They would need to drop at least nine more to be even mathematically caught. That scenario would also require Tottenham to win all the remaining matches of the season while overhauling a goal difference of 4. However, there is a caveat to this immense success. While all their title rivals have been fighting on at least two fronts since September, Chelsea have had most midweeks free. As a consequence of their lowly eight-place finish last season, they have not qualified for Europe and have mostly played one match a week. Meanwhile, the rest of the top six have had to constantly rotate for midweek matches. Even the London’s sides three games in the EFL Cup did not affect their league performance since Conte largely rested the first XI players. In direct contrast, Mourinho’s title winners of 2014/15 not only had European engagements but also played every round of the EFL Cup. It was to be their first tournament victory that season. Additionally, they do not compare shabbily to this season’s side in the league. 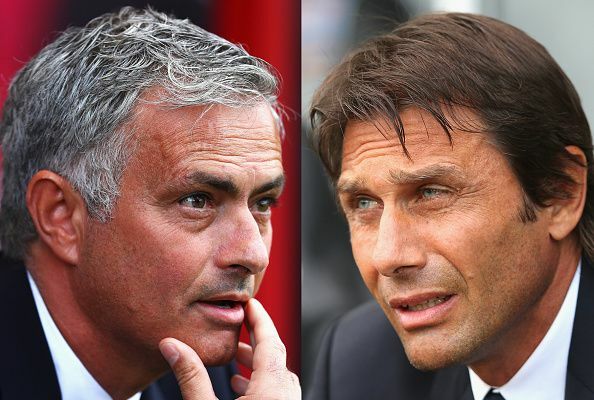 While Conte’s team have 59 points from 24 matches with a goal difference of +34, Mourinho’s side had 56 points and a GD of +33 in the same time. A very slight difference, and overwhelming proof that Mourinho’s side conclusively wins this category. So, which is the better side? While both sides won two sections each, there does seem to be an emerging leader. As impressive as Conte’s side have been, Mourinho had an objectively better squad that achieved more by February 2015. Even Conte’s victory in the tactical section is undermined by the fact that Mourinho didn’t have to perform tactical miracles because his side were just better. However, there is one big positive for Conte. While Mourinho only achieved this level of success in his second season back at a team where he was already revered, the Italian has come to a new country and nearly matched that performance. The real comparison of the two Chelsea squads will come next season, once Antonio Conte has had time to mold the club in his image. 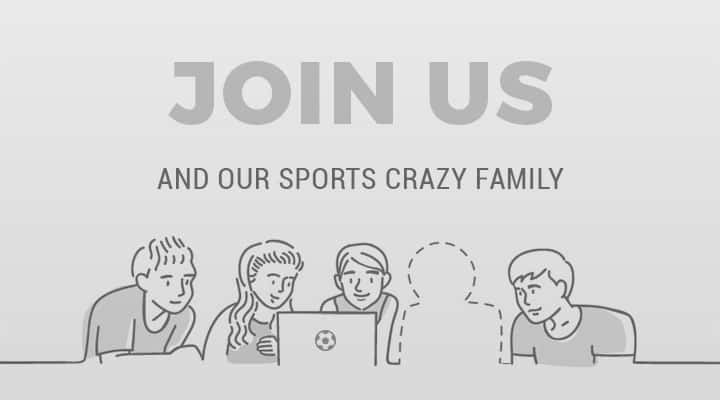 I'm a freelance journalist that writes about everything from 12th division Milanese football to the effect of the oil industry on Nigerian society! I'm always in interested in new collaborations.